Just have a look at this Black Forest Decor exclusive! 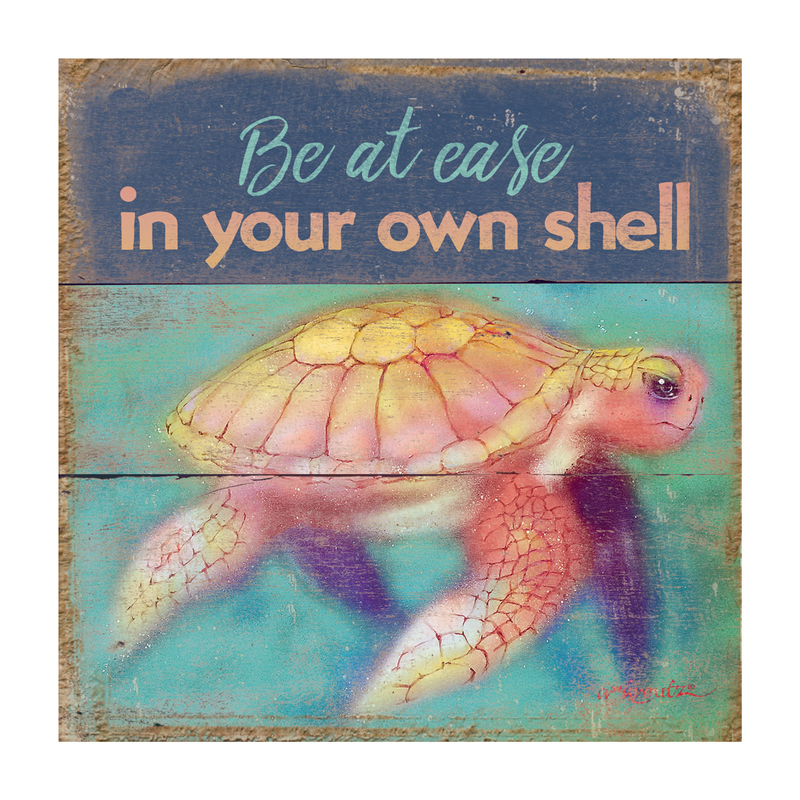 MDF wall hanging with a sea turtle and his inspiring advice. Black-finished edges. This beach wall art is printed in the USA. 10"W x 3/8"D x 10"H.
For even more items, we ask you to take the occasion to explore our full collection of beach wall art at Bella Coastal Decor now.